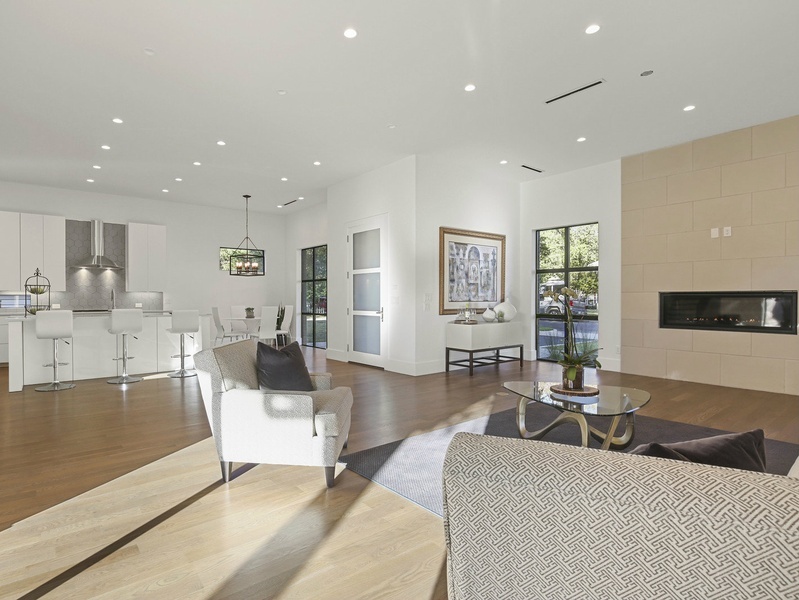 The neighborhood near Inwood Village is next on the list of rapidly developing Dallas neighborhoods, and you could claim your spot before the real boom happens. 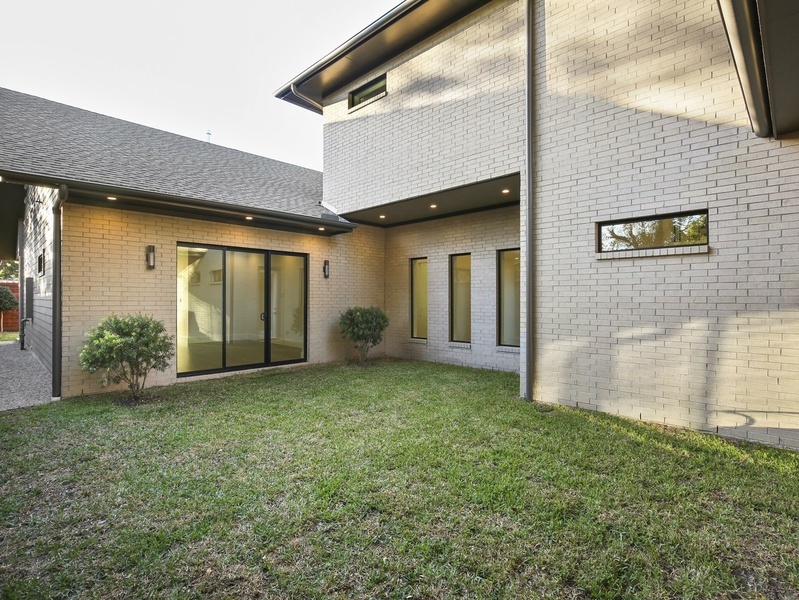 The new transitional home at 7303 Kaywood Dr. is close to all the area's top draws — UT Southwestern Medical Center, Love Field, The Plaza, Landmark's Inwood Theatre —and comes outfitted with modern touches for truly luxurious living. 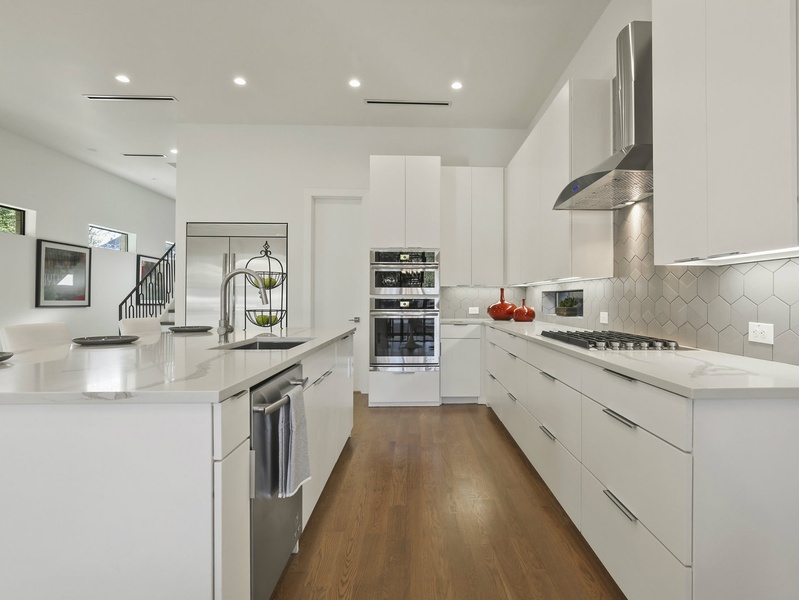 Listed by Kevin McGovern with The Associates Realty for $1,150,000, the home is 3,956 square feet with four bedrooms and three-and-a-half baths. 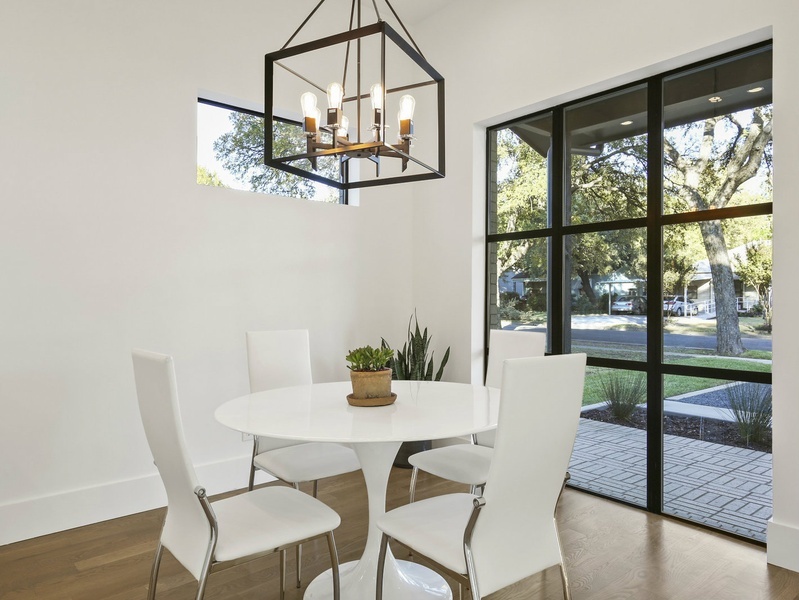 Natural light pours in through the eight-foot windows, creating an inviting ambience and spotlighting the white oak floors than run throughout the open floorplan. The downstairs feels especially airy because of 11-foot-high ceilings, but keep in mind the 52-inch linear fireplace when you need something to cozy up to. 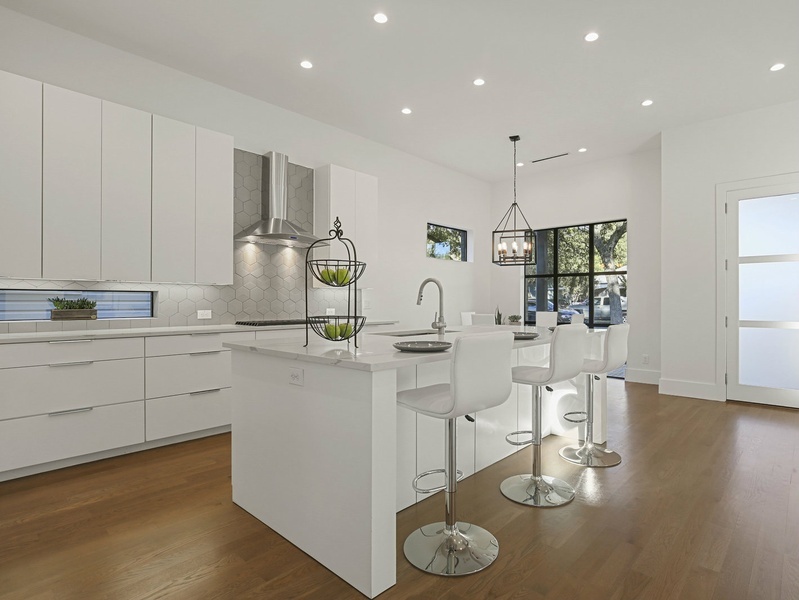 The kitchen is the perfect place for home chefs to experiment with their cooking skills, thanks to custom cabinets, quartz countertops, Jenn Aire stainless steel appliances, and a walk-in pantry. Or for those nights you don't feel like cooking, pull up a seat at the large island to enjoy a glass of wine and take-out from nearby restaurants such as Flower Child, Mesero, Bread Winners Cafe, Mola Mola, and Asian Mint. Need a little R&R? The master suite is literally where dreams are made. The large room has a sliding door that grants instant access to the backyard, and a spa-like bath. 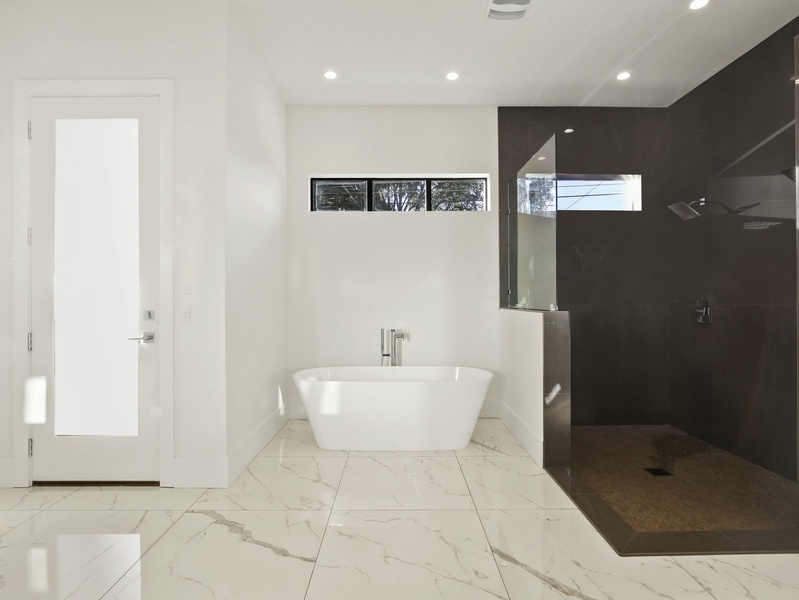 Enjoy a soak in the spacious tub, or spread out your products out at the separate vanity area. The walk-in closet is big enough for two — or just one, if you prefer. Speaking of storage, there is an additional 500 square feet of space above the garage. Also upstairs are two large bedrooms, an enclave for a desk, a flex room, and a full bath and powder room. 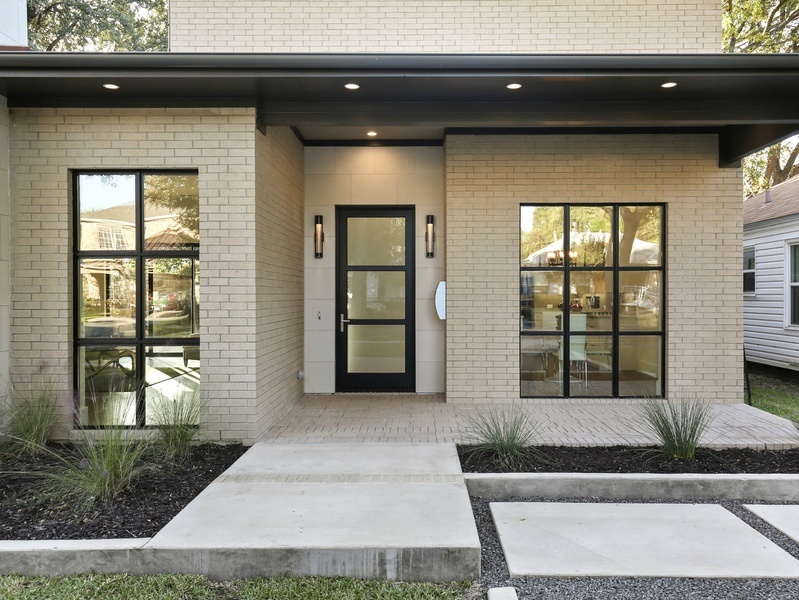 Park your car in the rear-entry garage, which has a 10-foot wrought iron gate. If you’re looking to do some outdoor entertaining, the covered back patio is an ideal location for a barbecue.